The notion that Greenland, which is reportedly 2,166,086 sq km (836,109 sq mi), is mostly covered by ice and snow is not only illogical but scientifically impossible. Nevertheless, 81% of it is allegedly covered by the mythical Greenland ice sheet which is reportedly 1,755,637 sq km (677,855 sq mi) in size. The notion of this ice sheet is even more implausible if the numerous maps depicting Greenland to be twice or three times large are indeed true. The very notion that a single climate spans thousands of miles without changing is not only contrary to everything known about climatology and meteorology, but is not replicated elsewhere on Earth, making the likelihood of it being true all the less likely. A great example of the diversity of the world’s weather is found in Southern California which has a Mediterranean climate in San Diego, a mountainous snow climate surrounding Big Bear and Snow Summit, and a desert climate in Death Valley which holds the record for the highest temperature ever recorded on Earth. All three of these respective microclimates occur within an area that’s roughly 258.99881 sq km (100 sq mi). Because Greenland admittedly has mountains, valley, rivers and weather systems, a congruent and stagnant sheet of ice year round is not scientifically possible. In respect to the argument that Greenland is near the North Pole (which does not exist) and thus experiences colder weather, there are a few scientific facts which have conveniently been left out of the equation. Firstly, it is a well-known fact that hot air rises. Therefore, Greenland and the North Pole should, in theory, be the warmest place on Earth when using the accepted basketball-like model of Earth. Secondly, since Greenland and the North Pole sit atop the Earth, they should receive more sunlight than anywhere else on Earth, destroying any notion of polar ice caps. Sunlight translates to heat, regardless of where it is found. Lastly, considering that Greenland was named Greenland because it was once green, the argument that its location atop the Earth is somehow responsible for its ice age-like climate is ultimately null and void. The concepts of “global warming” and “climate change” were originally designed by the Roman Empire in Greenland in order to deceive the world into thinking that the Greenland ice sheet along with the polar ice caps are melting or at risk of melting. Never mind the fact that the Artic, Antarctica, the North Pole and the South Pole do not even exist in reality. In short, “global warming” and “climate change” are part of a worldwide psychological operation (PSYOP) designed to frame an argument over whether or not the Earth is warming rather than over whether or not the Greenland ice sheets and the polar ice caps even exist. By stating that the Earth is simultaneously warming and cooling (see below), humanity is collectively stuck debating a fake issue, both sides of which are fraudulent in nature. Needless to say, this massive lie has been perpetuated with the goal of confuse humanity about the true nature of the world’s weather, especially in respect to Greenland. Considering that all of the Earth is warm (at least during the summer), the term "global warming" is essentially true, albeit in a de facto manner. Abstract: Observed changes in climate and greenhouse gases could be accounted for by human activity, according to a report by the Intergovernmental Panel on Climate Change (IPCC). Observations of the climate system are based on direct measurements and remote sensing from satellites and other platforms. 2007: 1995-2006 rank among the 12 warmest years in the instrumental record of global surface temperature (since 1850). 2013: Each of the last three decades has been successively warmer at the Earth’s surface than any preceding decade since 1850. 2007: Global average sea level has risen since 1961 at an average rate of 1.8 millimeters/yr and since 1993 at 3.1mm/yr. 2013: The rate of sea level rise since the mid-19th century has been larger than the mean rate during the previous two millennia. 2007: Observed decreases in snow and ice extent are also consistent with warming. 2013: Over the last two decades, the Greenland and Antarctic ice sheets have been losing mass and glaciers have continued to shrink almost worldwide. 2007: Average Northern Hemisphere temperatures during the second half of the 20th century were very likely higher than during any other 50-year period in the last 500 years and likely the highest in at least the past 1,300 years. 2013: In the Northern Hemisphere, 1983–2012 was likely the warmest 30-year period of the last 1,400 years (medium confidence). Northern Hemisphere spring snow covers have continued to decrease. 2007: Observational evidence from all continents and most oceans shows that many natural systems are being affected by regional climate changes, particularly temperature increases. 2013: The global ocean will continue to warm during the 21st century. Heat will penetrate from the surface to the deep ocean and affect ocean circulation. 2007: In terrestrial ecosystems, earlier timing of spring events and poleward and upward shifts in plant and animal ranges are with very high confidence linked to recent warming. 2013: Continued emissions of greenhouse gases will cause further warming and changes in all components of the climate system (Live Science, 2013). Abstract: A Danish-owned coal-laden cargo ship has sailed through the Northwest Passage for the first time and into the history books as the second bulk carrier to navigate the Arctic route. The Nordic Orion left Vancouver, British Columbia, Sept. 17 carrying 15,000 tons of coal. Ed Coll, CEO of Bulk Partners, an operational partner of ship-owner Nordic Bulk Carriers, said Friday that the freighter has passed Greenland. He said it is expected to dock in Finland next week after traversing waters once impenetrable with thick ice. 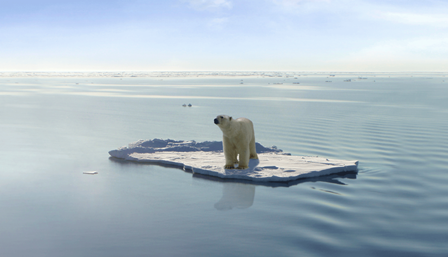 Interest in the Northwest Passage is on the rise as climate change is melting Arctic sea ice, creating open waterways. The melting ice could make it a regular Atlantic-Pacific shipping lane. "Climate change is advancing more quickly to the point where the Northwest Passage has become a more viable shipping route, roughly 30 years earlier than most scientists estimated it would," said Michael Byers, an international law expert at the University of British Columbia. "I don't celebrate the opening of the Northwest Passage to shipping because it does raise enormous challenges to Canada and for countries around the world in terms of dealing with climate change and its consequences." Coll said while the reality of melting ice is somewhat unsettling, it has also opened up a new frontier. Canada has laid claim over ownership of the passage but it is joined by Russia, the U.S., and Denmark in drafting claims before a U.N. commission to extend their undersea boundaries into ice-blocked areas. The Nordic Orion will not undermine Canada's legal position that the Northwest Passage constitutes internal waters, since the ship has registered its voyage with the Canadian Coast Guard, which means it has received Canada's permission. It's been more than four decades since the oil tanker SS Manhattan sailed through the Northwest Passage to test its feasibility as a trade route to deliver Alaskan oil to the U.S. East Coast, avoiding a long trip south to the Panama Canal. But its ice-hampered 1969 journey deterred others and the Americans opted for an oil pipeline to move Alaskan crude south. The Nordic Orion has sailed through the west coast of Greenland — an area Coll described as the most dangerous, hampered with floating icebergs — but he said the vessel incurred only one choke point at Peel Sound in northern Canada in Qikiqtaaluk, Nunavut, leaving it well on its way to having successfully navigated the passage. The 738-foot (225-meter) long Nordic Orion, a Panamax-sized ship, has a strengthened bulk to cope with floating ice, as well as more steel and other features that make the heavy vessel suitable for the extreme Arctic conditions. By sailing through the Northwest Passage, the Nordic Orion was able to trim about 1,000 nautical miles, which translates to four days, from its usual route through the Panama Canal. It was also able to carry about 25 percent more coal, given how shallow the canal is. These benefits have resulted in savings of nearly $200,000 said Bulk Partners. "But even if there wasn't huge savings we would have done it just to do it, to pioneer it," said Collpot (Fox News, 2013). Abstract: The UN’s climate panel (IPCC) released its latest warning about "catastrophic" climate change on Sept. 27, garnering the frantic attention of all three broadcast networks that night. CBS even aired a claim about temperatures rising “more than 200 degrees." Predictably, the evening news shows on ABC, CBS and NBC Sept. 27 repeated the IPCC’s dire warnings without including any skeptics and without mentioning past failures such as their inability to accurately predict warming or sea level rise. With the words “big warning” onscreen, ABC announced the “landmark” report from “top scientists.” Dan Harris went on to mention weather events including “superstorm Sandy,” and ominously warned that the “UN report says we will be seeing much more of these kinds of things in the coming decades as a result of climate change ...” Of course, that’s what the IPCC has been saying for years. Harris acknowledged the existence of other viewpoints, but immediately tore them down saying, “skeptics have predictably accused the UN panel of being alarmist, but Princeton climate scientist Michael Oppenheimer, who is on the panel, says this is a major wake up call.” Yet Oppenheimer himself has been accused of activist junk science by other scientists, according to meteorologist Anthony Watts’ website. Harris didn’t happen to mention that. “Had all that heat gone into the atmosphere, air temperatures could have risen by more than 200 degrees [showed 212 degrees onscreen],” Tracy warned. “We’ve got about 30 or 40 years before we have to completely stop and go to zero,” Masters replied. All three networks excluded information from their segments regarding the IPCC’s track record. None pointed out the IPCC’s lack of explanation for the “pause” in global warming over the past 15 years, although Scott Pelley mentioned that “the rise in air temperatures has slowed.” The networks also failed to mention embarrassing “mistakes,” such as the inclusion in the 2007 IPCC report of an "unfounded" prediction that the Himalayan glaciers would melt by 2035. They have made predictions time and again that far exceeded actual climate changes, as The Daily Mail (UK) reported on Sept. 14. But ABC, CBS and NBC didn’t consider that worth mentioning to viewers on Sept. 27. The Sept. 30 Wall Street Journal was skeptical of the latest IPCC report in its review and outlook section, noting the non-explanation for warming’s recent plateau as well as problems with past predictions. “It's also hard to take any of this as gospel when the IPCC's climate models haven't been able to predict past warming. As Canadian economist and longtime climate student Ross McKitrick points out, IPCC models based on CO2 emissions predicted that temperatures should have risen between 0.2 and 0.9 degrees Celsius since 1990. Instead they have increased by about 0.1 degrees,” the Journal said. In 2011, James Taylor of the Heartland Institute pointed out that sea levels hadn’t risen as forecast either: “Satellite measurements, however, show global sea level rose merely 0.83 inches during the first decade of the 21st century (a pace of just 8 inches for the entire century), and has barely risen at all since 2006. This puts alarmists in the embarrassing position of defending predictions that are not coming true in the real world” (MRC, 2013). Aside from the film "An Inconvenient Truth" (2006), the infamous global warming documentary spearheaded by Al Gore, Hollywood has been busy selling the notion of a previously icy planet, especially to our children. 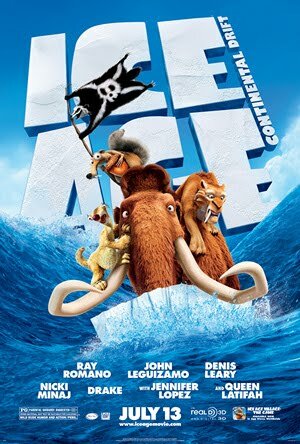 "Ice Age" (2002) is a film (see trailer) consisting of computer-animated cartoon-like animal characters that was nominated at the 75th Academy Awards for best animated feature. Set in the alleged ice age, the film stars Ray Romano, John Leguizamo, and Denis Leary. To date, the film franchise has three sequels: “Ice Age: The Meltdown” (2006), “Ice Age: Dawn of the Dinosaurs” (2009), “Ice Age: Continental Drift” (2012), and “Ice Age 5” (2016). Needless to say, Hollywood movie propaganda has sold the idea to hundreds of millions of children that an ice age actually existed, making the notion of polar ice caps and the Greenland ice sheet all the more believable. Abstract: A chilly Arctic summer has left nearly a million more square miles of ocean covered with ice than at the same time last year – an increase of 60 per cent. Professor Curry said the ice’s behaviour over the next five years would be crucial, both for understanding the climate and for future policy. ‘Arctic sea ice is the indicator to watch,’ she said (Daily Mail, 2013). Abstract: The 17-year pause in global warming is likely to last into the 2030s and the Arctic sea ice has already started to recover, according to new research. A paper in the peer-reviewed journal Climate Dynamics – by Professor Judith Curry of the Georgia Institute of Technology and Dr Marcia Wyatt – amounts to a stunning challenge to climate science orthodoxy. Not only does it explain the unexpected pause, it suggests that the scientific majority – whose views are represented by the UN Intergovernmental Panel on Climate Change (IPCC) – have underestimated the role of natural cycles and exaggerated that of greenhouse gases. The research comes amid mounting evidence that the computer models on which the IPCC based the gloomy forecasts of a rapidly warming planet in its latest report, published in September, are diverging widely from reality. The graph shown above, based on a version published by Dr Ed Hawkins of Reading University on his blog, Climate Lab Book, reveals that actual temperatures are now below the predictions made by almost all the 138 models on which the IPCC relies. The pause means there has been no statistically significant increase in world average surface temperatures since the beginning of 1997, despite the models’ projection of a steeply rising trend. According to Dr Hawkins, the divergence is now so great that the world’s climate is cooler than what the models collectively predicted with ‘five to 95 per cent certainty’. Curry and Wyatt say they have identified a climatic ‘stadium wave’ – the phenomenon known in Britain as a Mexican wave, in which the crowd at a stadium stand and sit so that a wave seems to circle the audience. In similar fashion, a number of cycles in the temperature of air and oceans, and the level of Arctic ice, take place across the Northern hemisphere over decades. Curry and Wyatt say there is evidence of this going back at least 300 years. According to Curry and Wyatt, the theory may explain both the warming pause and why the computer models did not forecast it. It also means that a large proportion of the warming that did occur in the years before the pause was due not to greenhouse gas emissions, but to the same cyclical wave. ‘The stadium wave signal predicts that the current pause in global warming could extend into the 2030s,’ said Wyatt. This is in sharp contrast with the IPCC’s report, which predicts warming of between 0.3 and 0.7C by 2035. Wyatt added: ‘The stadium wave forecasts that sea ice will recover from its recent minimum.’ The record low seen in 2012, followed by the large increase in 2013, is consistent with the theory, she said. Even IPCC report co-authors such as Dr Hawkins admit some of the models are ‘too hot’. He said: ‘The upper end of the latest climate model projections is inconsistent’ with observed temperatures, though he added even the lower predictions could have ‘negative impacts’ if true. But if the pause lasted another ten years, and there were no large volcanic eruptions, ‘then global surface temperatures would be outside the IPCC’s indicative likely range’. Professor Curry went much further. ‘The growing divergence between climate model simulations and observations raises the prospect that climate models are inadequate in fundamental ways,’ she said. If the pause continued, this would suggest that the models were not ‘fit for purpose’ (Daily Mail, 2013). Abstract: The UN Climate Change Conference in Warsaw is set to wind up tomorrow, probably without establishing any real prospect of human carbon emissions being seriously reduced in the foreseeable future. Many are worried that this could mean disastrous rises in sea level this century, with associated human misery on a grand scale. In particular, concern often focuses on the Greenland ice sheet in this context. The Antarctic ice sheet, the other major landbased ice mass that might conceivably slide into the sea and melt, is so huge and thick that scientists believe it will resist the effects of any possible level of warming for thousands of years. And the mountain glaciers of central Asia, which the UN once erroneously foretold would all be gone by 2035, are actually looking good. But Greenland, smaller and not so vast as Antarctica - yet vast enough that if all its water were to melt, massive sea level rises of seven metres could occur, as the hippies* at Greenpeace never tire of telling us - remains a worry for many. The actual ice sheet melting in place any time soon isn't a realistic concern - it is too massive - but it's possible that meltwater might get under the sheet, especially at the edges, and make it slip into the sea more rapidly than it generally does anyway as ice is forced off Greenland (by the weight of snow piling on top of the sheet and making more). Conceivably the rate of ice flow into the sea might accelerate rapidly, far ahead of the rate of replenishment by snow, causing a dangerous amount of sea level rise. But there's reassurance even here. An article just published in the Proceedings of the National Academy of Sciences outlines the work of a team of researchers from Britain and Australia. These scientists investigated the effects on ice flow into the sea of meltwater increases, particularly the massive summer melt last year that caused so much concern. And that's probably the most plausible mechanism for any seriously accelerated sea level rise this century blown, so to speak, out of the water. No wonder recent all-causes forecasts now suggest a rise of no more than 30cm even in the worst possible carbon-belching case - and more probably less, in other words no major change from the 20th century. This is, of course, not the scenario the UN Intergovernmental Panel on Climate Change is working to - its latest report, just out, says that we could well get a metre of rise this century if we don't change our ways. More hardline activists, for instance the Climate Central campaign body funded by Google's Eric Schmidt, are still holding out for one-to-two metres. That's probably why in the run-up to the IPCC report's being signed off, a group of eminent specialists tried to assure the drafters that no matter what anyone tells you about the state of climate science in general, there is no scientific consensus (their exact peer-reviewed words) on sea-level rise - which is probably the most compelling reason to actually do anything expensive about climate change. A point to note: There is probably no country more menaced by sea-level rises than the Netherlands, as most of it is already below sea level. The Dutch plan to be ready for more-than-1m rises by 2100, and expect this to cost them just €1bn annually - a tiny sum compared to the costs of moving to renewable power. So, welcome hippies ... hold on to your hippy heart. If you work for Greenpeace, you're a hippy - it's compulsory. This is just a fact, and one confirmed by the organisation itself. QED - Greenpeace are a bunch of hippies (The Register, 2013).